On a Sunday afternoon national showcase, the Timbers failed to show up against expansion Orlando City and lost 2-0. The afternoon began with nothing but warm sentiments, and the returning Donovan Ricketts received his deserved hero’s welcome. The plan most certainly wasn’t to hand him a clean sheet as well. Many Timbers supporters (plus neutrals, and even some Orlando supporters) will say that referee Kevin Stott could have (and should have) changed the mood of the game early on. When Aurélien Collin rugby tackled Maxi Urruti, Mr. Stott didn’t give so much as a free kick, let alone the deserved yellow card. Orlando took the opportunity to bring a rough, physical style of play to the match, culminating in rookie Cyle Larin chesting in his first career goal on 30’. 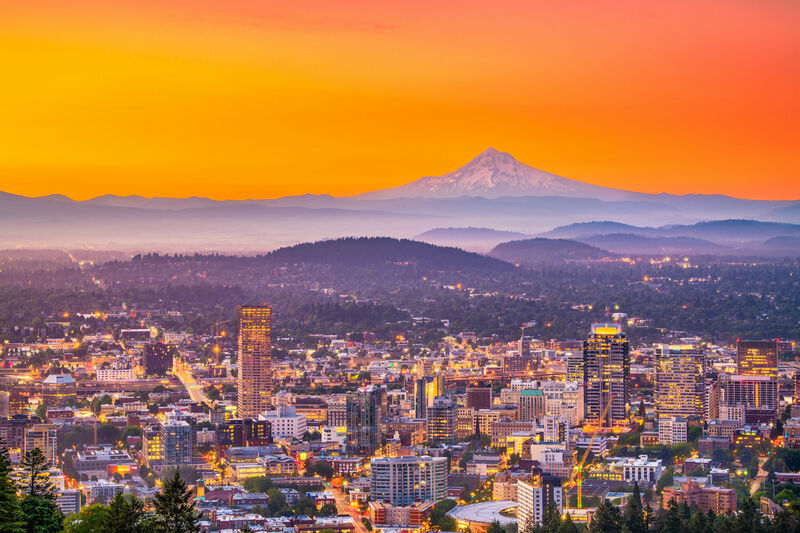 The Timbers did not have much of an answer. The game was put to bed from the penalty spot after Adam Kwarasey tackled striker Carlos Rivas in the box. To his credit, Kwarasey absolutely stoned Kakà on his PK attempt, but a box infraction gifted the Brazilian legend a second crack. The legend finally converted. This is not about pointing the finger of blame; it’s about finding solutions to the problem. 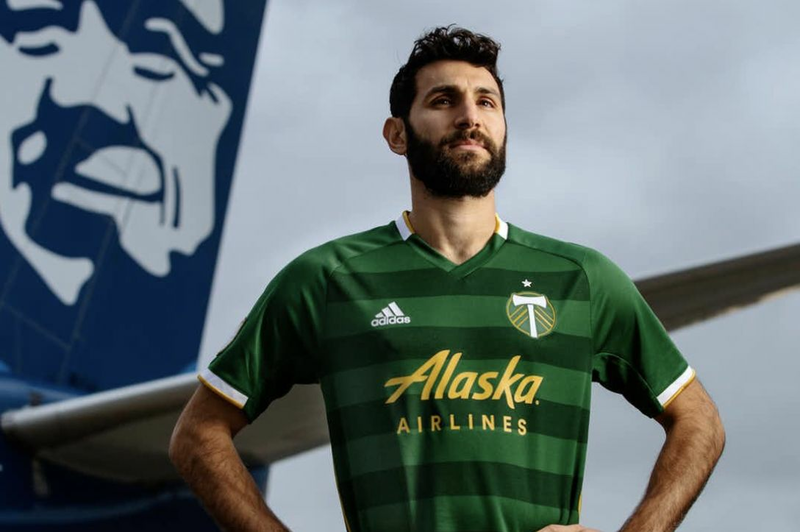 Music to the ears of Timbers supporters is the news that Diego Valeri and Will Johnson are on schedule for an early May return. The Captain and the Maestro will not only bring their individual talents to the game, they will change how the Timbers play as a team, and how opponents defend. 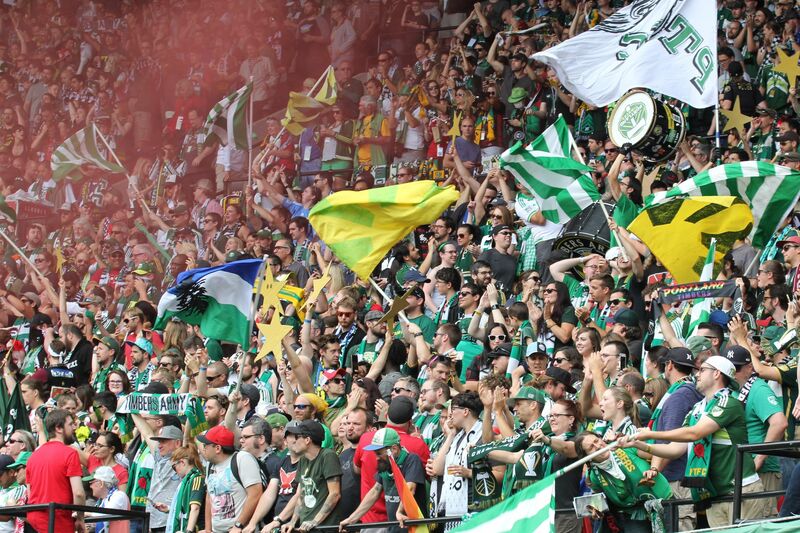 It’s a long season, and the Timbers' best medicine is to move on. Confession: I grew up 45 miles southwest of Manhattan, right on the New York/Philadelphia divide. My family were all Yankee fans (my father was born and raised in the Bronx), and some of my earliest childhood memories were taking the train into “the City”, to the real Yankee Stadium, to see Don Mattingly’s pre-Jeter Yankees. Don’t get me wrong, the Yankees are a national and global brand, and the real stadium is long gone, but for a kid who grew up in the cheap seats in the 1980s and early ‘90s the idea of the Timbers playing a match at Yankee Stadium is beyond surreal. It will become reality on Sunday afternoon. New York City FC, the financial lovechild of Manchester City’s gazillionaire Abu Dhabi-based ownership and the New York Yankees’ gazillionaire Westchester County-based ownership, are a fascinating experiment. A year and a half before taking a single step onto the baseball diamond soccer pitch, NYCFC made their first big purchase: Jason Kries. The former RSL boss was brought in to do what he did in Utah (take a team from expansion to MLS Cup in 5 years,) only with a ton more financial backing. That didn’t mean Kries would have to change his style. The accomplished manager brought over three important pieces from RSL in midfielders Ned Grabavoy and Sebastian Velasquez, and local boy, defender Chris Wingert. Kries also imported his famous 4-1-3-2 “diamond” formation. Similarly to Caleb Porter’s preferred lineup, NYCFC are strongest at the top and bottom of said diamond. Considering City’s seemingly bottomless war chest, those pieces are US International, Mix Diskerud at one end, and La Liga hero David Villa at the other. 29-year old Slovakian striker Adam Nemec starts alongside. Kries flanks RSL old boys Grabavoy and Velasquez, while former Dallas midfielder Andrew Jacobson sits in front of the back 4. Former Timber Josh Saunders starts in goal. For now, NYCFC’s most telling set of numbers is 1-3-2, their record. With all of their talent and coaching pedigree, City have had trouble getting going; they slumped to a 1-1 draw with Orlando City in their inaugural match before defeating New England for their only win of the season. City have scored all of two goals in the four games since, losing two and drawing two. Additionally, David Villa limped off at halftime with an apparent hamstring pull in Thursday night’s home draw with Philadelphia. If the talisman striker can’t go on Sunday, Oregon State and Lane United alum, Khiry Shelton will deputize alongside Nemec. They won’t avoid Mix Diskerud, but he played 81 minutes in the USMNT’s “dos a cero” friendly win against Mexico on Wednesday. The match will be Mix’s second in five days, including travel to-and-from San Antonio. For a creative engineroom-type midfielder like Diskerud, fatigue will factor into his ability to navigate the tight dimensions of Yankee Stadium’s comically narrow 68x106 (yard) field. For comparison’s sake, the oft-criticized Jeld-Wen Field pitch of 2011 was 75x110. Tight dimensions can play into Portland’s favor, and Caleb Porter would be wise to switch back to a 4-2-3-1. 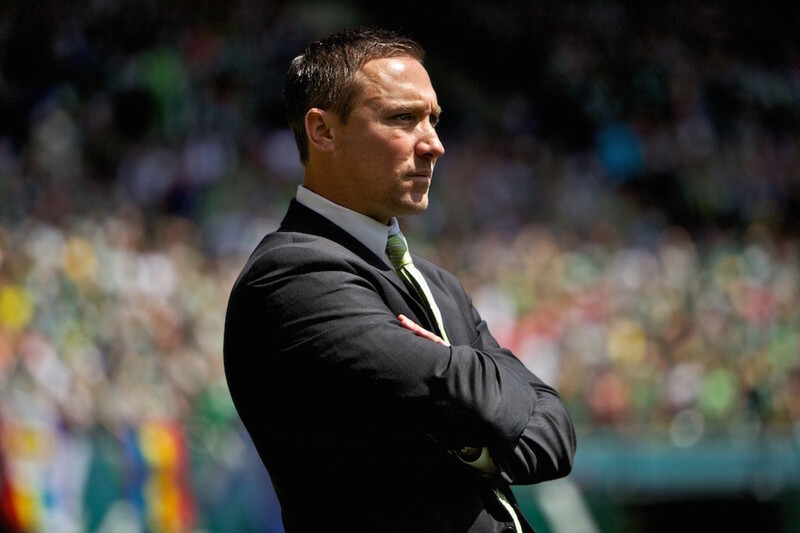 If that happens, the Timbers boss will once again face a selection conundrum. 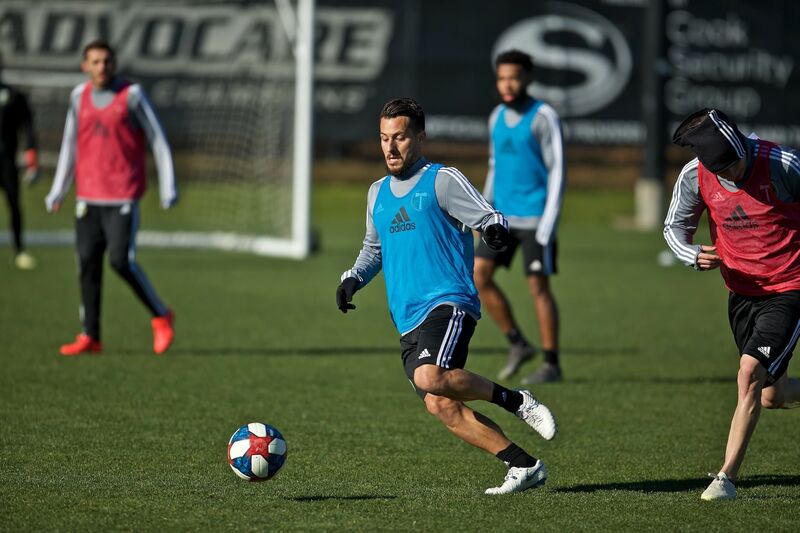 Maxi Urruti would return to his “super sub” role, leaving NYC’s expansion-quality center backs (Wingert and Jason Hernandez) to deal with the load that is Fanendo Adi. Following a lifeless home defeat, Porter is looking for a spark. A winnable game in a famous venue, and a chance for national TV redemption is on the table this weekend.